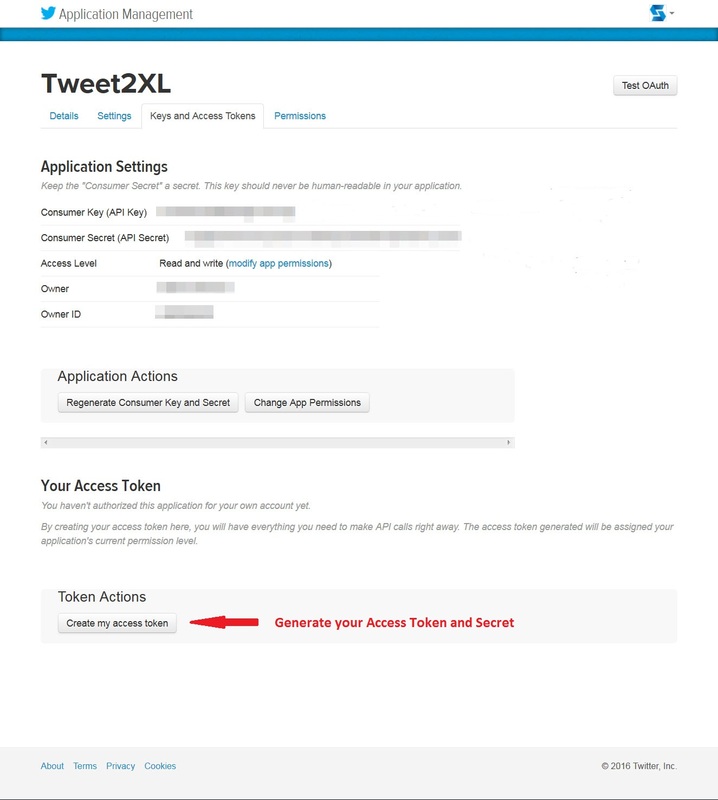 Retrieving (or generating) your Twitter API keys is a simple 6 step process. It takes longer to read about it than to actually do it. Here you go. Visit https://apps.twitter.com/ in your browser, login, and click the Create New App button. 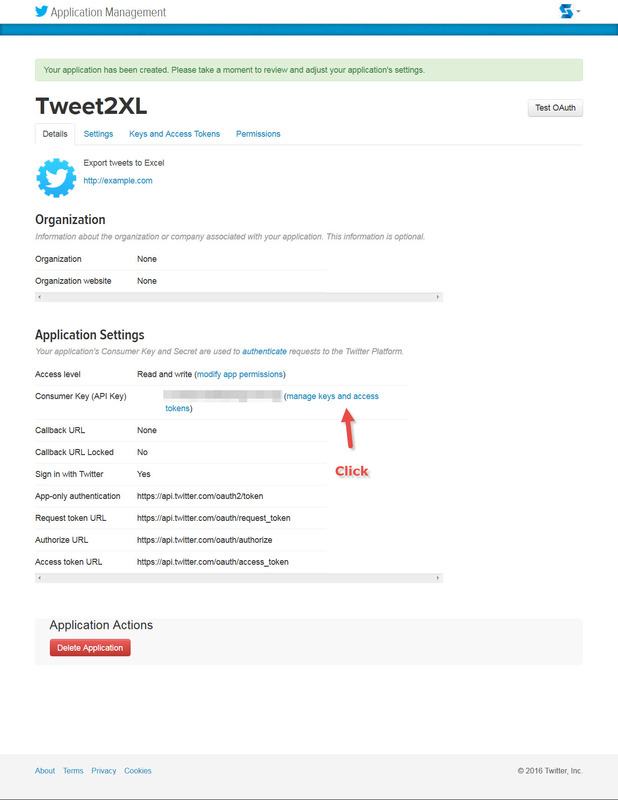 Fill out the form and click the Create your Twitter application button. Name and Description can be anything you like. Website has to be formatted like a real URL, but doesn’t have to point anywhere real. Callback URL should be left blank. Click the manage keys and access tokens link to get to the new app’s settings page. 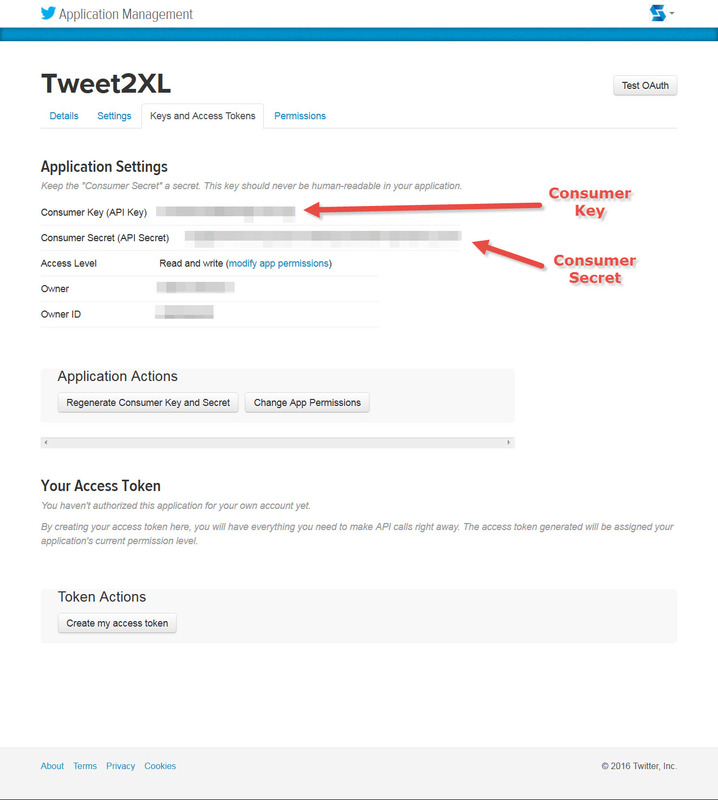 Copy the Consumer Key and Consumer Secret values from the application settings page and into the API key fields of our app. 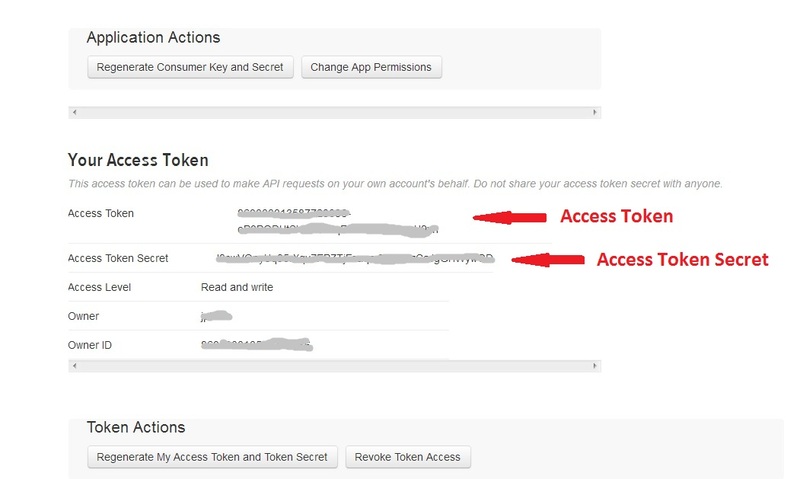 Click the Create my access token button to generate the Access Token and Access Token Secret. Copy the Access Token and Access Token Secret values from the application settings page and into the Access Token fields of our app and then logout. That’s all, you’re now good to go. 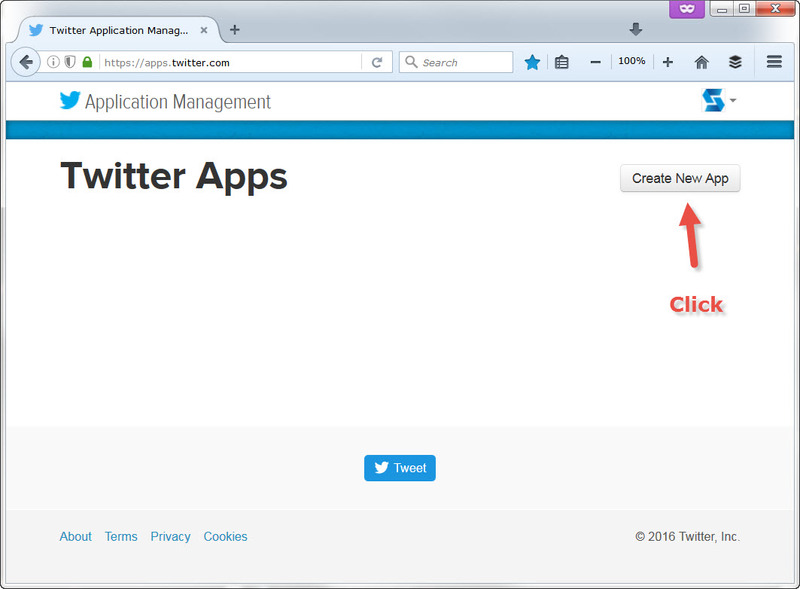 Is BirdIQ ready for Gnip 2.0? How often do I need to create Twitter API Keys? 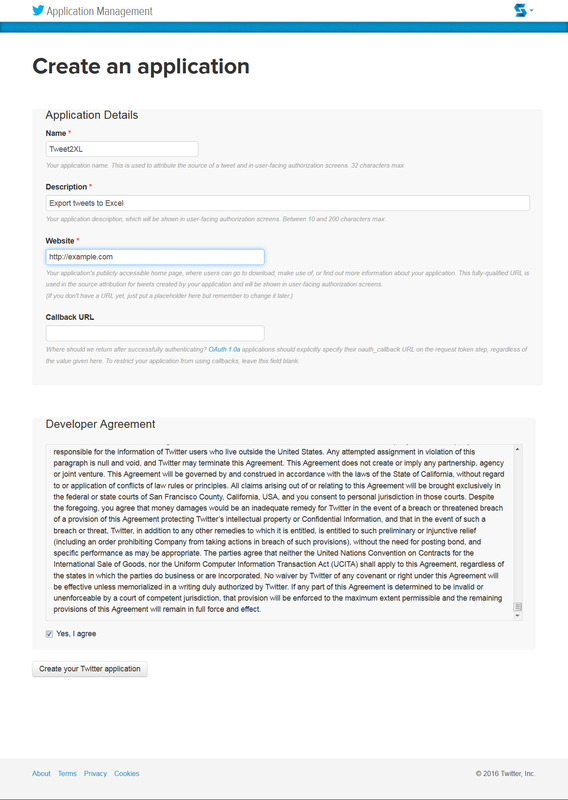 I haven’t used Twitter API Keys before, do I need to sign up as a developer?